September 14, 2012 – (RealEstateRama) — The Macomb County MSU Extension will be holding a free, informational seminar on foreclosure prevention. All homeowners are welcome to attend. 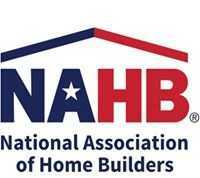 These seminars are presented by MSHDA-certified housing counselors. Homeowners will also have the opportunity to work one-on-one with a housing counselor after completing this seminar. Macomb MSUE is a HUD-certified agency. Michigan RealEstateRama is an Internet based Real Estate News and Press Release distributor chanel of RealEstateRama for Michigan Real Estate publishing community. RealEstateRama staff editor manage to selection and verify the real estate news for State of Michigan.